The worm tunnels—burrows where worms lived and munched through the sediment—are invisible to the naked eye. 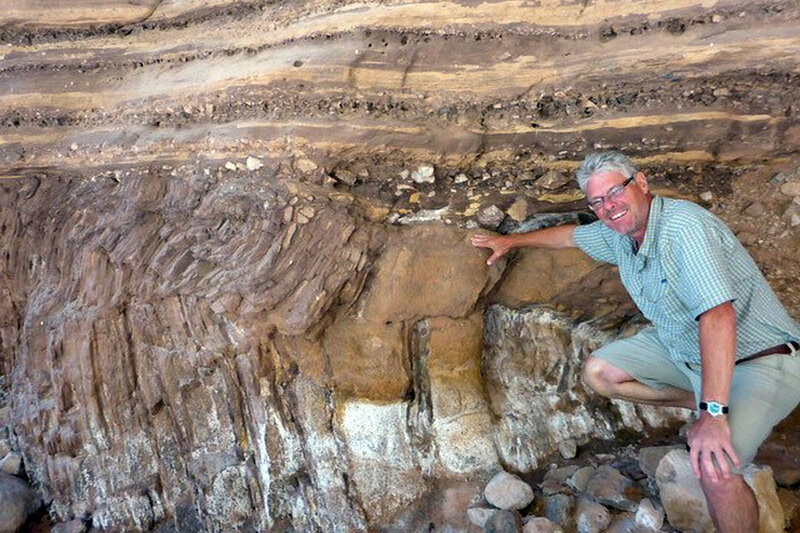 But Pratt "had a hunch" and sliced the rocks and scanned them to see whether they revealed signs of ancient life. Pratt then digitally enhanced images of the rock surfaces so he could examine them more closely. Only then did the hidden "superhighway" of burrows made by several different sizes and types of prehistoric worm emerge in the rock. Some were barely a millimetre in size and others as large as a finger. The smaller ones were probably made by simple polychaetes—or bristle worms—but one of the large forms was a predator that attacked unsuspecting arthropods and surface-dwelling worms. Pratt said he was "surprised" by the unexpected discovery. "For the first time, we saw evidence of large populations of worms living in the sediment – which was thought to be barren," he said. "There were cryptic worm tunnels—burrows—in the mud on the continental shelf 500 million years ago, and more animals reworking, or bioturbating, the sea bed than anyone ever thought." It has always been assumed that the creatures in the Burgess Shale—known for the richness of its fossils—had been preserved so immaculately because the lack of oxygen at the bottom of the sea stopped decay, and because no animals lived in the mud to eat the carcasses. 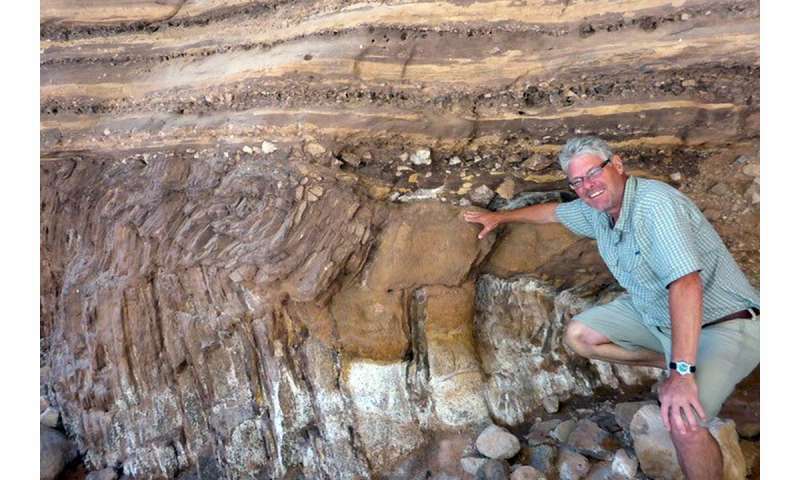 Pratt's discovery, with co-author Julien Kimmig, now of the University of Kansas, shows there was enough oxygen to sustain various kinds of worms in the sea bed. "Serendipity is a common aspect to my kind of research," Pratt said. "I found these unusual rocks quite by accident all those years ago. On a hunch I prepared a bunch of samples and when I enhanced the images I was genuinely surprised by what I found," he said. "This has a lot of implications which will now need to be investigated, not just in Cambrian shales but in younger rocks as well. People should try the same technique to see if it reveals signs of life in their samples."